Health data sharing, telemedicine, even federal value-based payment plans were all part of the excitement at the Consumer Electronics Show in Las Vegas. 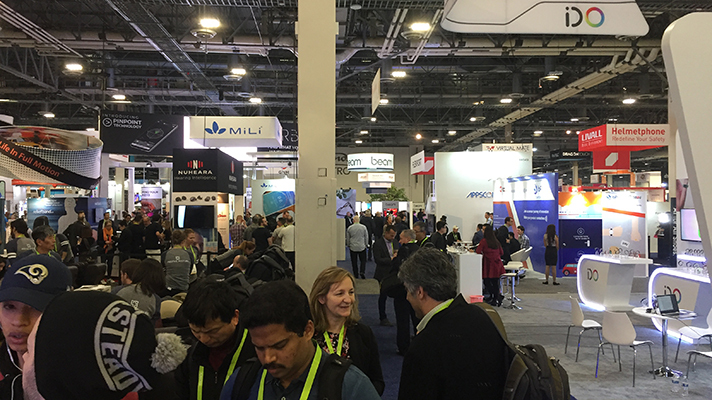 LAS VEGAS -- The tech world descended upon Las Vegas this week for the annual Consumer Electronics Show, and plenty of health IT’s biggest players were in attendance. While much of the discussion was on consumer-friendly health tools and novel digital interventions, there were still a handful of products and discussions between executives and entrepreneurs focused on healthcare’s largest roadblocks — namely, data management and analytics. With more continuous sensors entering care, a rising challenge is separating the useful data from noise and extracting actionable insights. While most speakers focused on how to address these issues in the consumer space, others highlighted the gaps that health systems and insurers still have to address. While Benefield and Keran were primarily focused on how to use healthcare data as it is today, there were other speakers looking more toward the future. QuHarrison Terry, director of marketing at Redox and a recent entrant into the world of healthcare data, said that he was baffled by the status quo of siloed data and the reliance on fax machines for medical data transfer. While pitching his company’s platform — a vendor-agnostic API currently employed by hundreds of health companies — he said that these interoperability hurdles need to become a key focus for the industry. Bettina Experton, MD, CEO of Humetrix, described her company’s work with government agencies over the past decade to develop a mobile implementation of the Blue Button initiative, iBlueButton. Interest in the program has led Humetrix to successfully extend its efforts to the national healthcare systems of the UK and France, she said, though roadblocks are continuing to pile up in the world’s largest healthcare market. At the end of her talk, Experton also hinted at new announcements related to their work with CMS’ API to be announced at HIMSS 2018. Still, it wouldn’t be a tech conference without some mention of blockchain. During a fireside chat on the trending technology, Mike Jacobs, senior distinguished engineer with Optum Health, and Jaquie Finn, head of digital health at Cambridge Consultants, both said that they were generally optimistic about blockchain’s role in healthcare, but warned that it should only be applied to tasks in which it is well suited. Finn said the best applications of the technology she has seen so far in healthcare are those designed to track and prevent the sale of counterfeit drugs and devices. Jacobs — who cryptically noted that Optum “will take a leadership role” in the future of blockchain and healthcare — outlined his own ideas about where blockchain is most likely to make impact, among which were smart, legally-binding automated contracts for payments, and the transfer of health records. Digital health executives also spent some time talking about the impact of value-based care and recent healthcare policy on their endeavors. These discussions came to a head with participants lamenting the legacy of pay-for-service models, and their impact on new care-delivery technologies. Feedback on the impacts of policy was largely positive, but with concessions that certain legislature based on the aforementioned pay-for-service healthcare model interrupting services. Here again, telehealth was a prime example, although Renna Pande, MD, chief medical officer of AbleTo, said that certain branches of the government have served as a driving force for more permissive legislation.